Rev. Jacob Kuzhiparampil Abraham is an ordained minister of Mar Thoma Church. He hails from Thiruvalla, Kerala and his home parish is St. Paul’s Mar Thoma Church, Chathenkery. Achen holds a Bachelor’s degree in History from Mahatma Gandhi University, Kottayam and Bachelor of Divinity from Mar Thoma Theological Seminary, Kottayam. Achen ’s first posting (2008 -2012) as the Vicar of Lucknow and Kanpur Mar Thoma Churches and Jagadishpur congregation. He was the missionary of Kanpur Mar Thoma Mission and manager of Kanpur Mar Thoma Gramjyothi School. He served as the director of Kanpur Mar Thoma Bal Vikas Kendra and Kanpur Mar Thoma Shishu Vikas Kendra. Later he was posted (2012 – 2015) to Udaipur Immanuel and Bhilwara St. Thomas Mar Thoma Churches and served as the missionary of Bhilwara Mar Thoma Mission. Before coming to UK, he was serving as the vicar of Jodhpur and Bikaner Mar Thoma Churches and Pali Mar Thoma Congregation and the missionary of Bikaner Mar Thoma Mission. 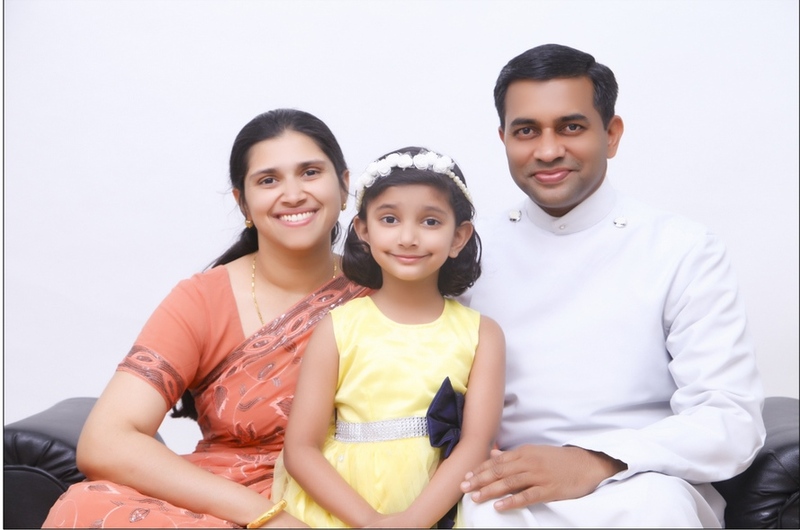 His wife Dr. Christy John from New Delhi, St. James Mar Thoma Church and their daughter Joan Liz Jacob.